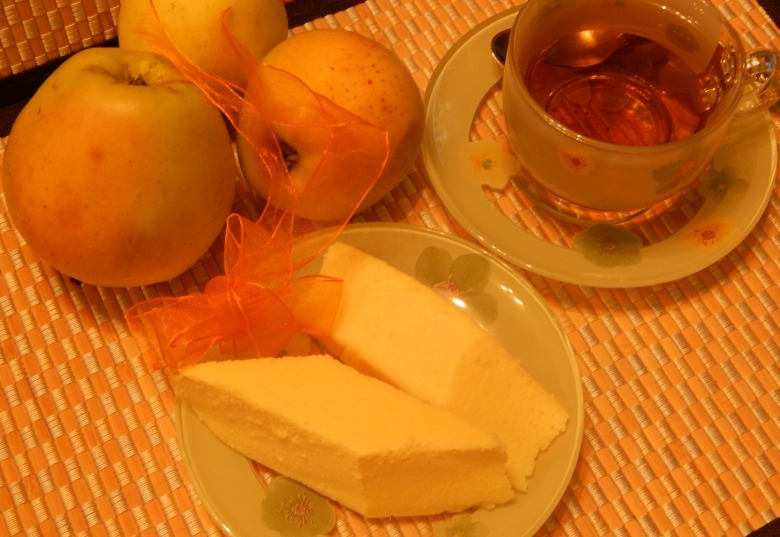 Today I cooked apple jelly and so I liked it that decided to cook something with cottage cheese and apple sauce. Here's what I got. It was my experiment. Thank God for good. Cheesecake turned out very tender and tasty. Grind cottage cheese in blender, add eggs, starch, pudding. Mix cream with sugar and add to curd. Peel apples and boil, put in colander, cool it, grind in blender and add to curd mass. Cover form with parchment paper and pour curd mass. Put form in larger one, filled with water at half. Bake in oven at 180℃ for 1 h. After that, turn off oven and let it stand for 10 min. Cool and remove from form. Bon Appetite!!! 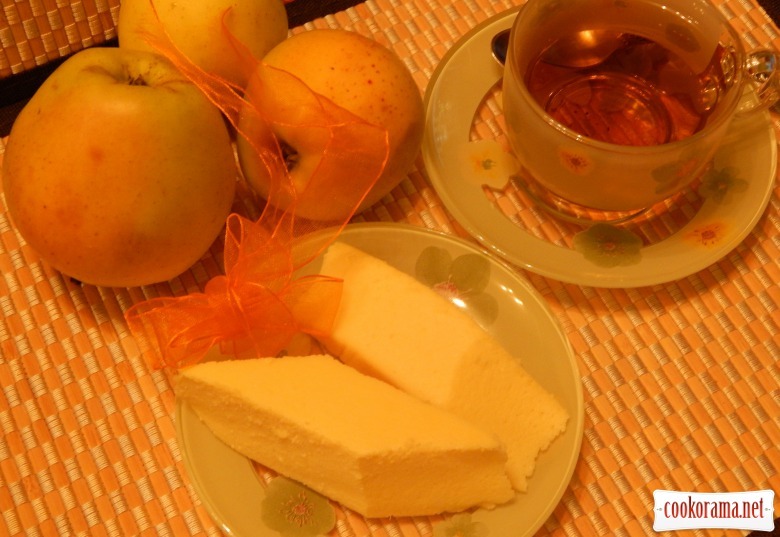 Top of recipe "Apple cheesecake "Hit or miss""
Recipes, Casseroles, Apple cheesecake "Hit or miss"